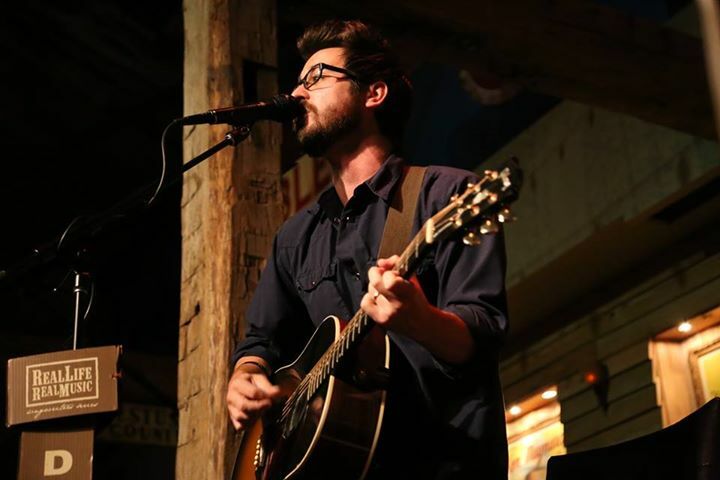 Sean McConnell sold out the opening night of his Big Noise Tour during Real Life Real Music at Dosey Doe last week, but more importantly he continues to exceed the expectations of his seasoned fans. McConnell’s fans, old and new, were treated to an amazing musical experience. The full band kicked with “Save Our Soul” before an almost spiritual cover of Tom Petty’s “You Don’t Know How it Feels”. Sean and host Kyle Hutton exchanged stories about the road, family, and the ups and downs of the music business before the band played crowd favorites “Novocaine” and “Wreckless Love”. Hutton requested “Somewhere Beautiful” then immediately told the story of how the song touched his entire family after the unexpected death of his mother-in-law. One of the highlights of the night was from our Facebook requests. McConnell obliged and turned in a stellar performance, including a few surprises. Watch for yourself. Enjoy! He finished “Praise the Lord” and “Closing Time to wrap up a great night. Overall, McConnell continues to grow as an artist and those who support him now will be able to say they experienced him when. Thank you for supporting Real Life Real Music and stay tuned for more videos from your favorite artists!